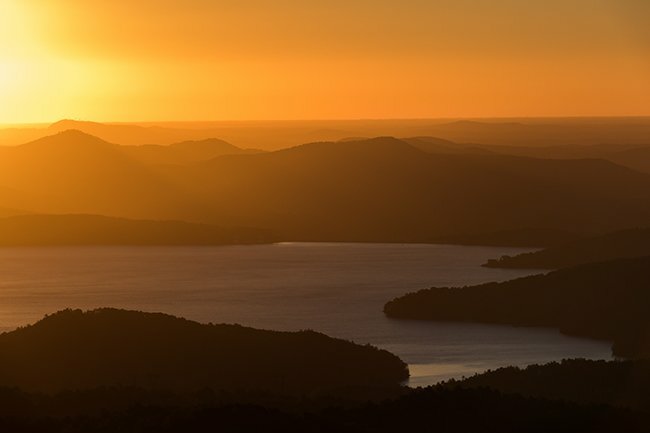 Serene Lake Jocassee (pronounced “joe-KASS-ee”) was created from the Whitewater, Thompson, and Toxaway rivers by Duke Power Company in 1967. 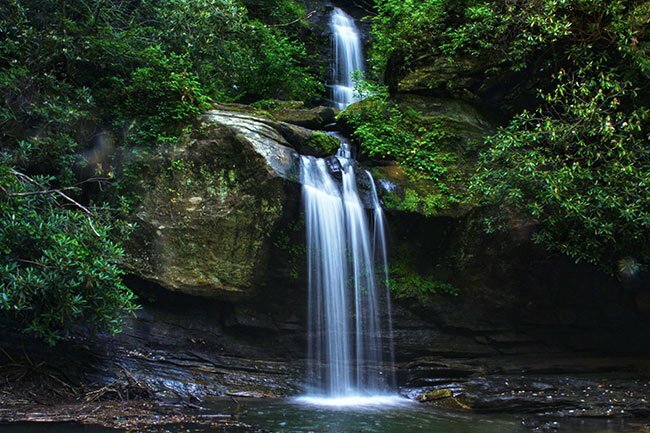 It is located in Oconee and Pickens counties. 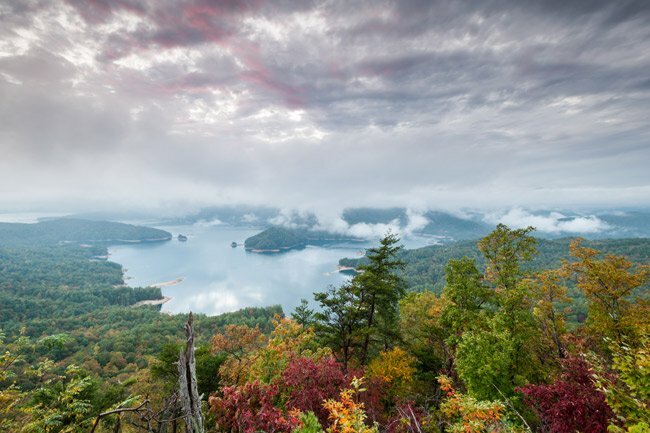 Along with Lake Keowee, it provides electricity and recreation for much of the Upstate. 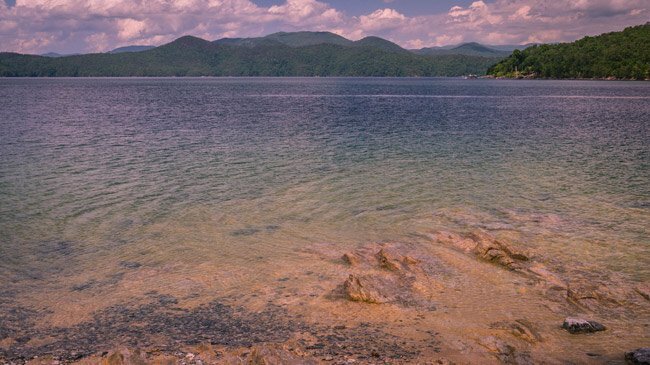 At 7,500 acres, Lake Jocassee is perfect for boating, skiing, fishing, and swimming. There is very little development on its 75 miles of shoreline, and most of the surrounding land is also untouched by man. 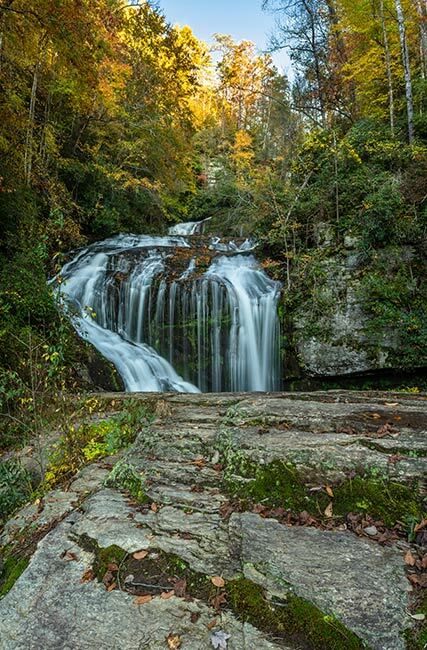 The lake is known for the beautiful waterfalls – see below – that flow into it, but keep in mind that like many of our South Carolina waterfalls, they are best viewed after a good rain! 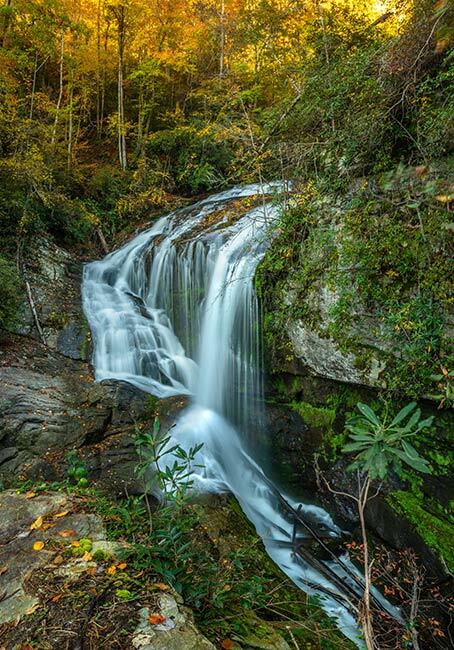 Several waterfalls line the boundaries of Lake Jocassee, creating an unmatched vision of mountain splendor. 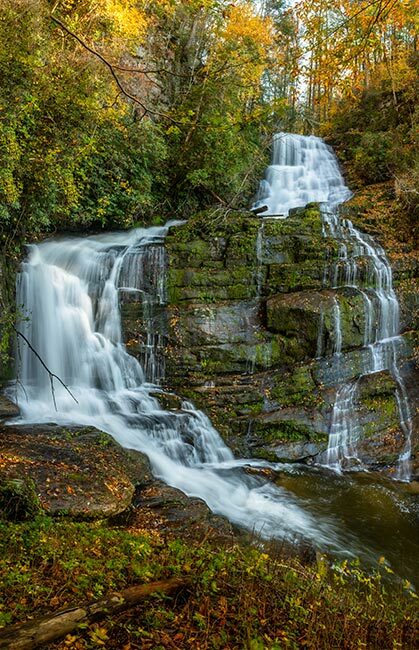 Below Wrights Creek Falls has two sections, one higher and one lower, flowing into the lake. The lower level of Wrights Creek Falls has space for adventurers to actually walk behind the falls when the water level is high. 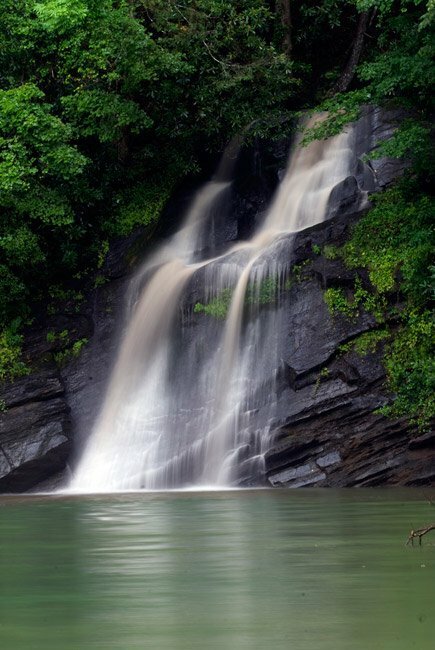 Below are three of the lake’s most popular waterfalls, though several unnamed falls can be found throughout the shoreline. 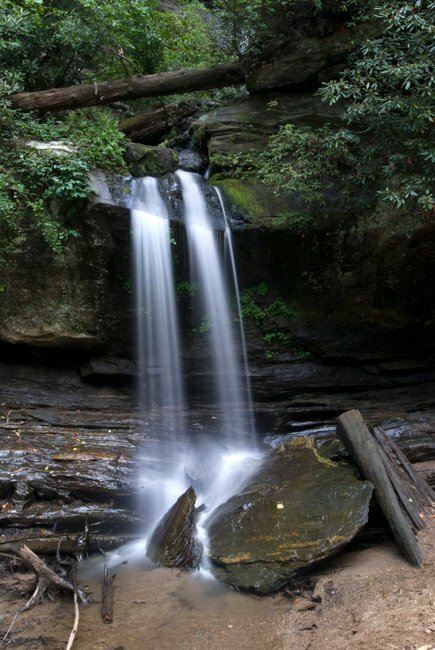 Mill Creek Falls, seen below, is a story-book cascade flowing over a rockface. While there is no room for walking behind the falls, boaters can get close enough to feel the water splashing onto the lake. 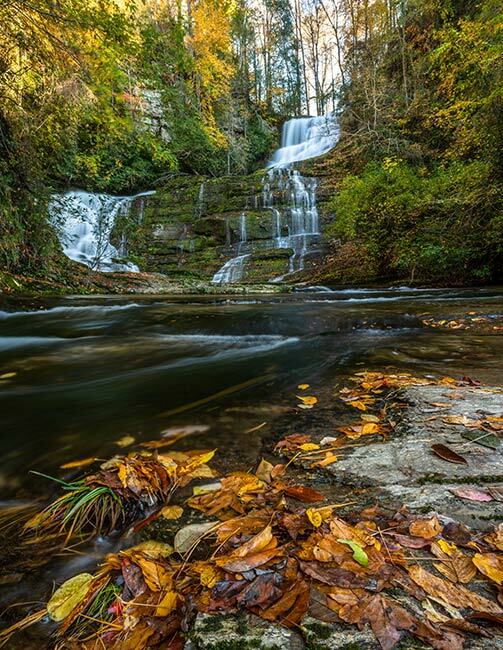 Finally, Laurel Fork Falls, below, is the crown jewel of the Lake Jocassee waterfalls. The cascade falls 80 feet in to the lake in three sections. 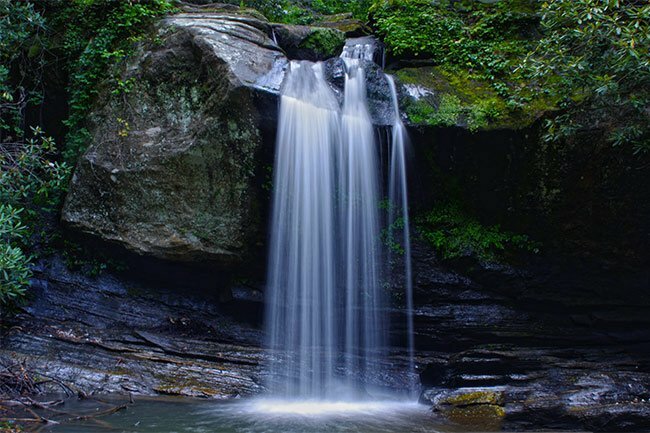 A small pool for swimming is created from the cascade below the middle section. The upper section can be accessed by a portion of the Foothills Trail. That is the appropriate weblog for anybody who needs to find out about this topic. You realize a lot its almost exhausting to argue with you (not that I truly would need…HaHa). You definitely put a brand new spin on a subject thats been written about for years. Great stuff, just great! Hello Randy, you would need to speak to Dave Allen directly. Here is the link to his email contact form: http://www.daveallenphotography.com/contact.php. Thank you! 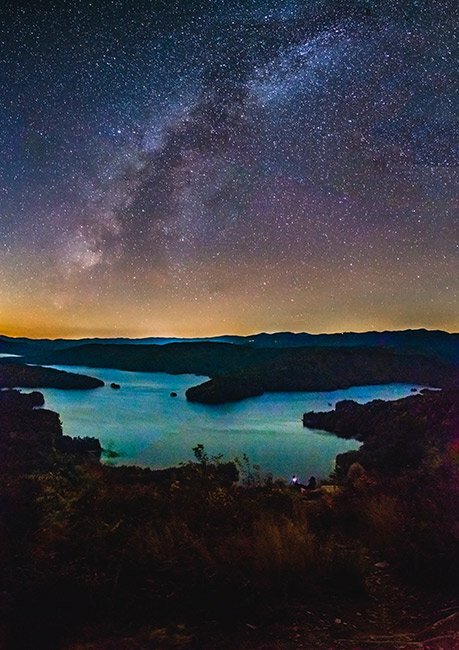 I would like to use the picture of Lake Jocassee taken by Dave Allen. The picture says don’t use without written consent. I would like an image that is at least 1.5M MB. 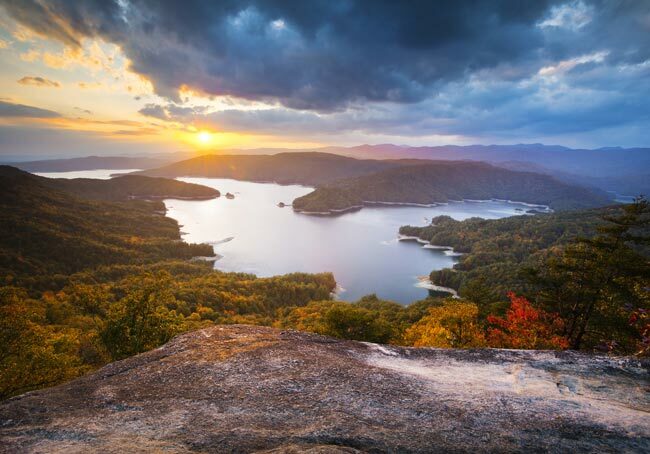 A lot of people don’t know that a small part of Jocassee is in NC. As you enter a cove in the upper end of the lake, you will see a welcome sign to North Carolina. The top photo is Jumping Off Rock in Pickens County, and I believe the bottom photo is also from Pickens County. It looks like the Powdercade Road, the location where all the dynamite was stored when building Jocassee. 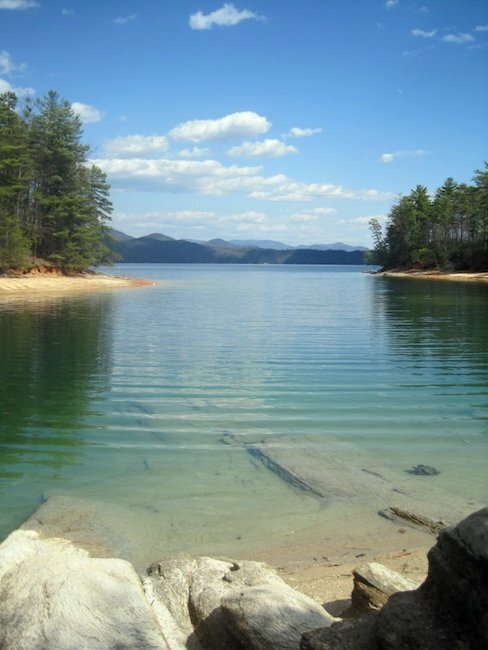 On Thursday July 19, 2012 I went fishing on this beautiful lake with my soon to be son-in-law from Ohio. This was his bachelor party and we caught 20 trout and bass with our guide’s help and skills. The smallest fish was 2.5 lbs, and largest was 4lbs (and great eating also! ).